This story was passed to me today by Matt Shipman, who writes about research on The Abstract. The previous road sign font, Highway Gothic, was hard to read because of very small counter spaces, or the enclosed shapes of a letterform (the inside of an “O” or “P”). Clearview, with larger enclosed shapes, taller lowercase letters and better letterspacing, is easier to read from a distance and at night. Really, it is worth reading the whole article. Enjoy! Previous PostIntuitive Interfaces for Software DevelopersNext PostWhat values are pilots allowed to enter for the weight of the plane? 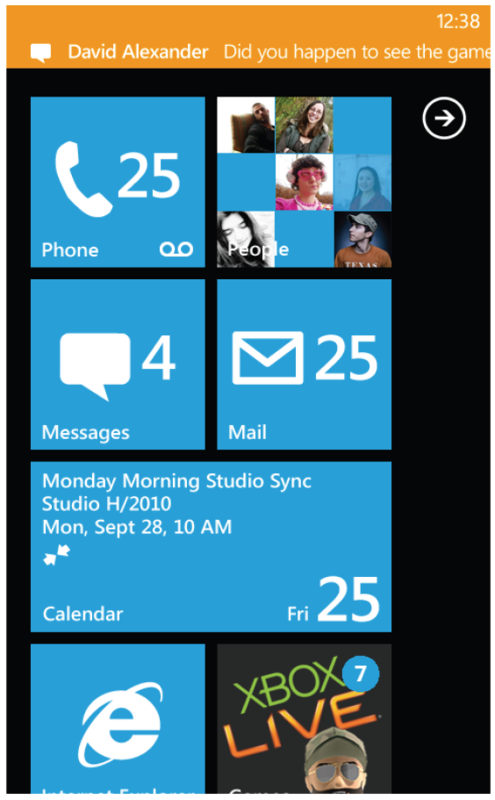 The new UI for Windows Phone 7 (called Metro) was inspired by signage. Clear typography, simple icons. I like it quite a bit. More information at http://go.microsoft.com/fwlink/?LinkID=189338 (pdf).